We do professional appliance repair in Brothers, Oregon! 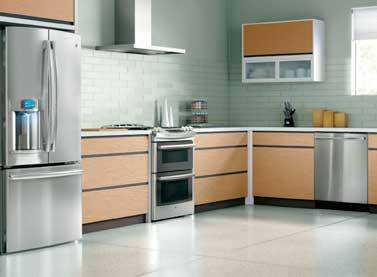 We do professional appliance repair in Brothers, Oregon. Our company has more than 30 years of experience repairing, installing and maintaining all brands and models of appliances. Our technicians are all factory trained and certified experts. They know everything there is to know about both kitchen and laundry appliances. For example, we often repair Asko, Bertazonni, Bosch, Dacor, DCS, Electrolux, Fisher&Paykel, Frigidaire, GE, Jenn-Air, KitchenAid, La Cornue, LG, Liebherr, Marvel, Miele, Perlick, Samsung, Siemens, Sub-Zero, Thermador, Traulsen, True, Viking, Whirlpool, Wolf and many more. Oregon Appliance Repair has been serving the state of Oregon for more than 30 years. We specialize in home appliance repair & service in Brothers, Oregon. Our company also serves surrounding areas such as Deschutes County, Alfalfa, Awbrey Butte, Bend, Black Butte Ranch, Brothers, Cloverdale, Deschutes River Woods, Eagle Crest Resort, Hampton, La Pine, Millican, Old Farm District, Old Mill District, Orchard District, Redmond, Sisters, Sunriver, Terrebonne, Three Rivers and Tumalo. Our company is family owned, local and family operated. We try to do an excellent job for our neighbors in Brothers. We are the most trusted appliance repair Bend Oregon. We will do we will fix dishwasher for you or will do refrigerator repair service Bend. Our skills allow us to do an appliance repair job of any size or complexity. In fact, we do both commercial appliance repair as well as residential appliance repair. If you have a European brand or high-end kitchen appliance, we can still help. Our technicians are well versed in all of those, and we are able to order any part you might need whether it’s for refrigerator, washer, dryer, dishwasher or stove. For appliance repair in Brothers call us at 541-948-8835 or fill out our short online contact form. Our representative will get in contact with you right away. We will schedule a convenient and fast service appointment for you. Our technician will make sure to bring all the tools and equipment needed for your particular project. We often even bring some of the most required parts. For example, motors that usually burn out. We will give you a courtesy call before the appointment. Our Appliance repair in Brothers tech will arrive right on time. He will immediately start working on your appliance no matter what it is. He will take it apart, clean it out and will determine what needs to be done. Sometimes all it takes is a little bit of an adjustment or cleaning. But sometimes we will need to buy parts for you and install them. We are your number one choice in appliance repair in Brothers. Our team has the skills and the experience needed to help you with any of our home appliances. Our technicians are factory trained and certified by most of the major brands. That means that they know exactly how to handle any problem on a majority of appliances. They also have a lot of experience in appliance repair Bend OR. Besides all this, our techs are always polite, respectful and friendly. They will go out of their way to help you. We guarantee you a fast and convenient service that brings excellent results. To schedule an appointment for appliance repair in Brothers, please call us at 541-948-8835 or fill out our short contact form. We will be happy to set up a convenient appointment for you. Our friendly and highly skilled technicians will soon be on their way to repair your appliances. We serve Bend, Eugene, Crook County, Deschutes County, and Jefferson County. We do professional appliance repair in Brothers, Oregon. Our company has more than 30 years of experience repairing, installing and maintaining all brands and models of appliances. Our technicians are all factory trained and certified experts.